Simple, Fast, Reliable - Enjoy Logbook Pro on iOS and Android! Logbook Pro Mobile unlocks the power of Logbook Pro on all of your iOS and Android devices. With one low cost subscription you can use Logbook Pro on any of your devices and receive all updates as they are released. With Apple and Google's frequent major operating system releases and frequent updates we are continually updating Logbook Pro to stay reliable and cutting edge to provide you the best software to suit your needs as a pilot. Reliable, simple, accurate...Logbook Pro is the pilot logbook software you can trust. Logbook Pro Mobile is tied to your NC Software web site login so it must be purchased by the person using the app. If you are a company purchasing for your employees or you're buying this as a gift we suggest purchasing gift certificates for the same amount as this subscription cost. Give the pilot/user the gift certificate code and they can purchase the subscription from this web site (direct link below). You can renew your subscription at any time. If you renew prior to your existing term ends your renewal will extend the subscription expiration automatically. 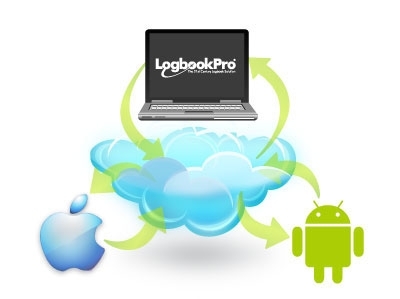 Logbook Pro for Apple iOS and Google Android devices. Install from the Apple App Store or Google Play.